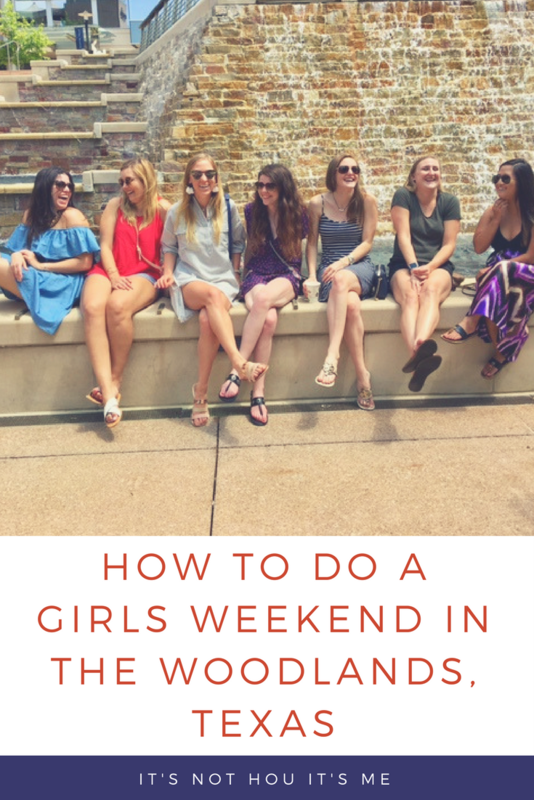 Planning a girls weekend getaway? Might we suggest Vegas, New Orleans, Austin, The Woodlands. If you’re skeptical, I hear you. 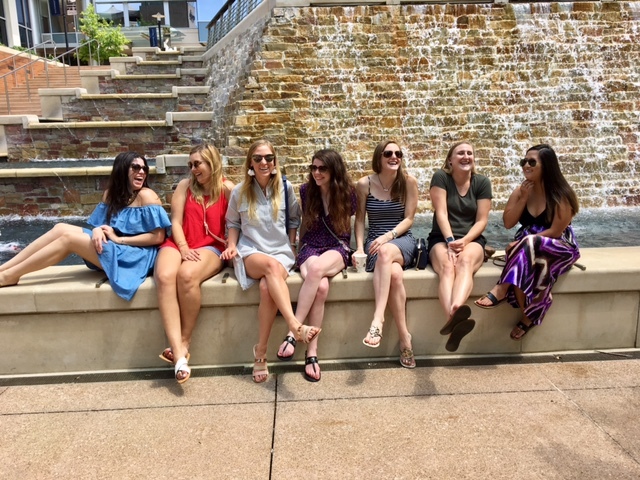 As a city slicker who escaped Houston suburbia after high school to move inside the loop and live it up, I’m not going to lie–I had low expectations. I was expecting sleepy restaurants with high priced cocktails and a small shopping district to satisfy the suburban homemakers. Oh, how I was wrong.. I invited six friends to head up north for a long weekend and we had a blast and a half. 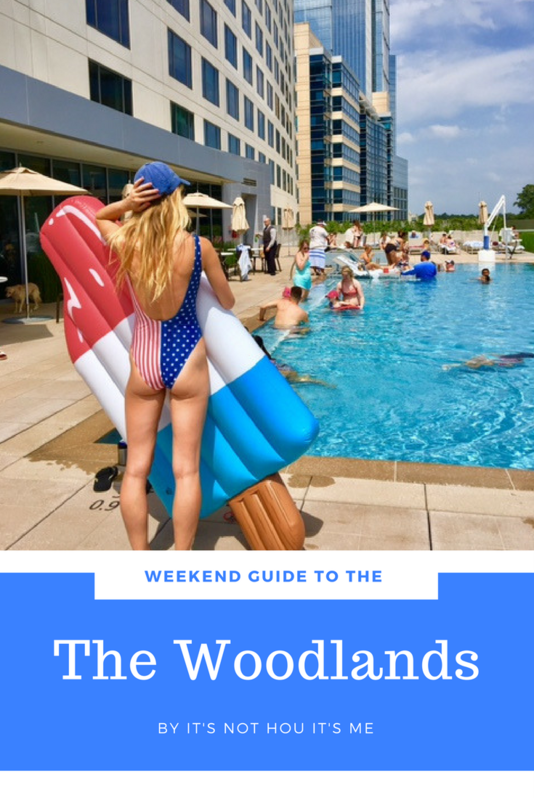 The Woodlands is the perfect spot to go for a fantastic staycation with plenty of shopping, fantastic restaurants, poolside bars, rooftop clubs–all within walking distance. Here’s how we enjoyed the weekend. With a long day of day drinking ahead of us (I mentioned this was a girls weekend right? ), we decided to detox and retox simultaneously at Ruggles Green. Ruggles Green was Houston’s first certified green restaurant and full of hearty, healthy (and vegetarian friendly options!). 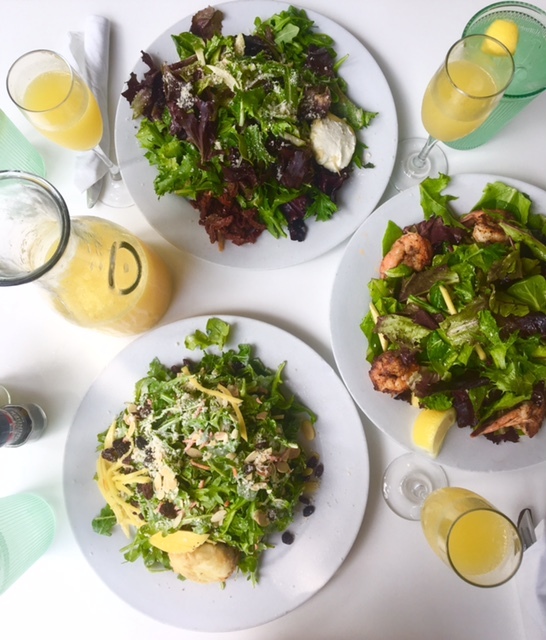 I’m a big fan of the Honey Fried Goat Cheese and Arugula, which when washed down with a carafe of mimosa, you can’t go wrong. After brunch, we decided to do some shopping, which in the Woodlands, there is no shortage of. 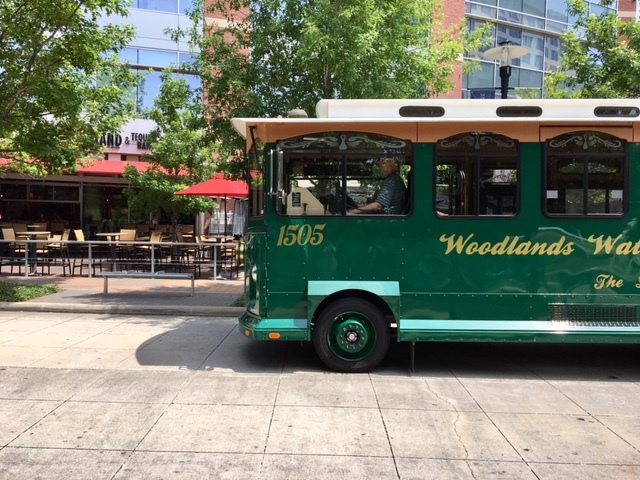 We went to Market Street but saw a plethora of stores near Hughes Landing (infamously known for its Restaurant Row), along Research Forest by Ruggles, and of course the Woodlands Mall. Market Street is an adorable collection of shops and restaurants centered around a grassy square (kinda reminds me of La Centerra in Katy). 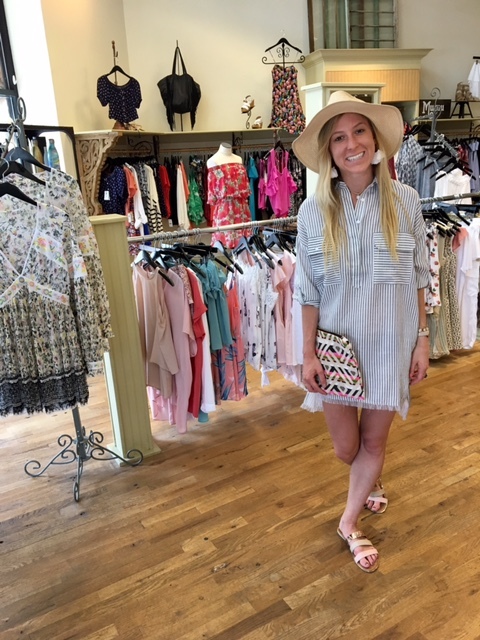 The shopping district has a great collection of stores for selecting outfits for a GNO (and/or Yacht Week!). 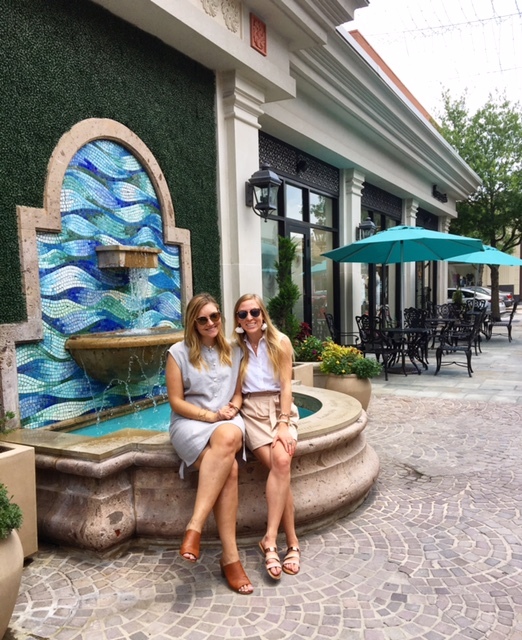 We browsed through Francesca’s, Charming Charlie’s, Cake Walk (Houston-owned boutique!) and Hemline. 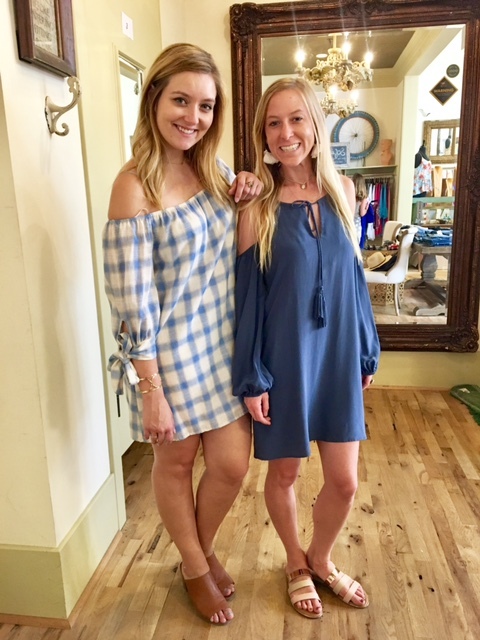 We found some fantastic items at Hemline including two silk off-the-shoulder dresses (so trendy rn) some jewelry, and an oversized stripped shirt dress. What’s great about Hemline is that they only get 2-3 pieces of each style at a time. So it’s highly unlikely you’ll ever run into anyone wearing your same outfit (the woes of shopping at J. Crew, lululemon, and kate spade). Plus they’re always getting in new inventory and posting it to their Instagram so you always know what new items they’re receiving. 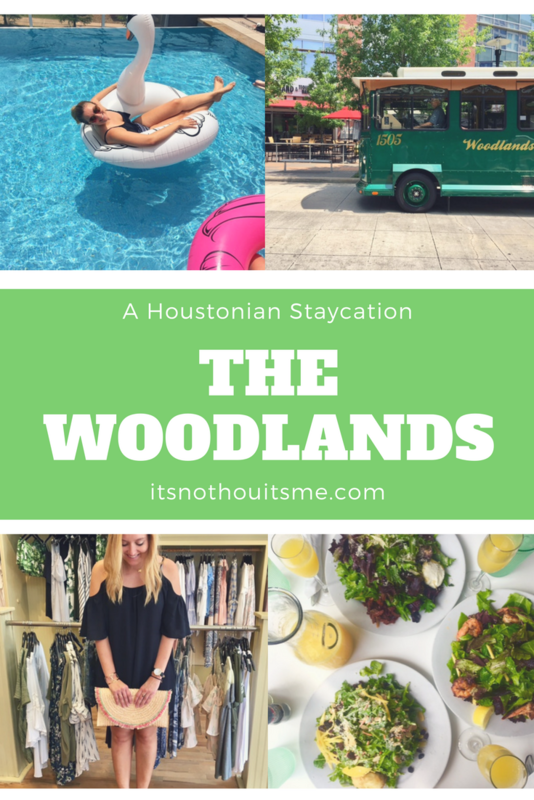 Note: This post has been sponsored in part by Market Street, Hemline, 1252 Tapas, Ruggles Green, Hubbel & Huddson, the Westin in the Woodlands and The Woodlands Convention and Visitors Bureau. All the sassy commentary is my own. After we gave exercised our credit cards a bit, we headed over to check-in at the Westin in the Woodlands. Setting the tone for the weekend, the staff was amazingly accommodating and allowed us to check around 2pm (two hours early!) 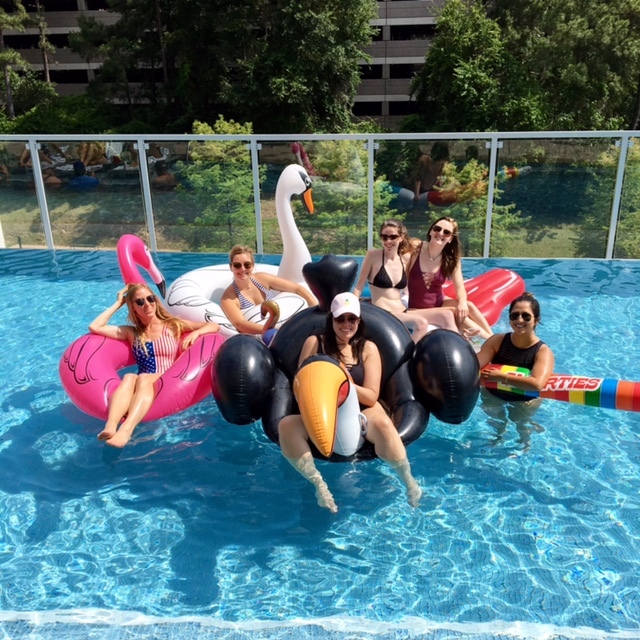 Naturally we immediately hit up the pool — bringing all of the floats (thanks Shop the Manor!). The pool absolutely made the weekend. It’s located on the south side of the building, so it has sun aaaaall day long with plenty of lounge chairs, shaded seating, and even a fire pit! Plus, it has Sidebar which which has poolside happy hour every day from 4pm to 7pm! 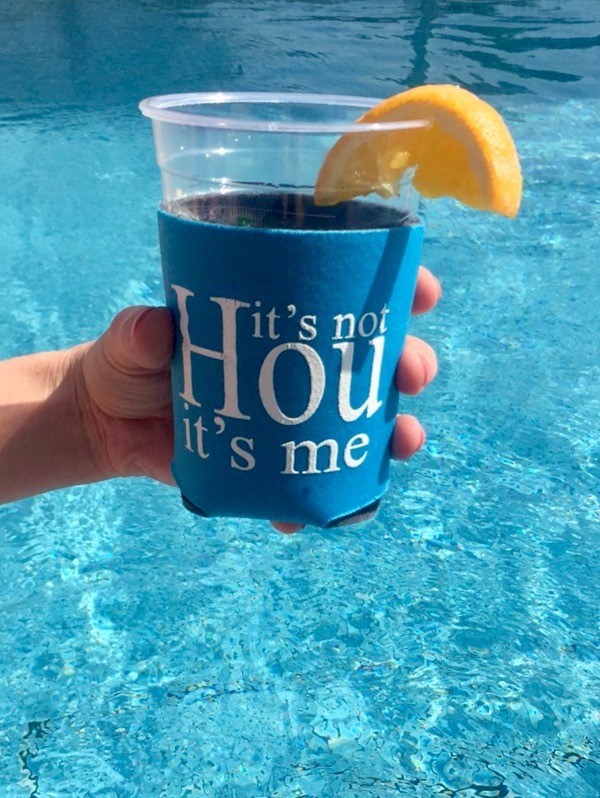 Honest-to-goodness, there’s nothing better than sitting on a float in the pool with a cocktail in hand. Also, the servers regularly walk around bringing guests water, which is a definite must for Houston in the summer time. After a quick change, headed back out to Market Street for dinner. An adorable little trolley runs a circuit that goes right past the hotel every 20 minutes or so that picked us up and dropped us off at Market Street. Dinner reservations were at an outdoor table at 1252 Tapas Bar. 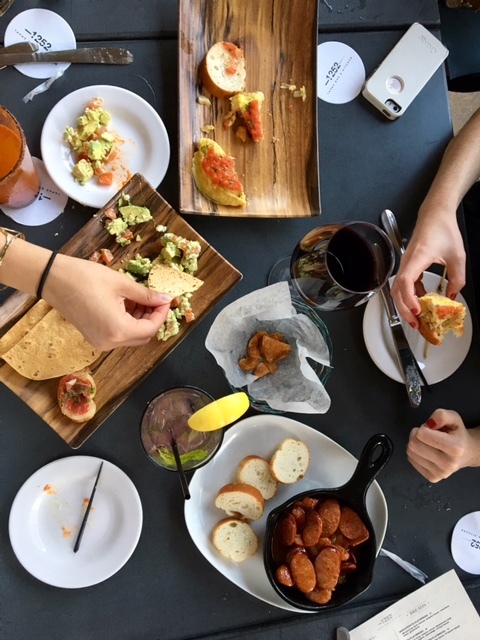 Every girls weekend should incorporate tapas (small plates) because its perfect for sharing among a group of hungry and slightly tipsy girls. 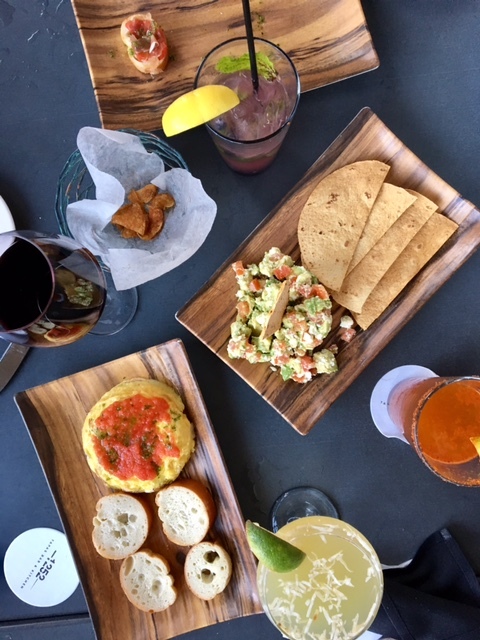 The menu at 1252 Tapas Bar had a little bit of everything on it, including classic dishes like patatas bravas, tortilla espanola, pan tomate as well as more Americanized versions of fried calamari and flatbread. 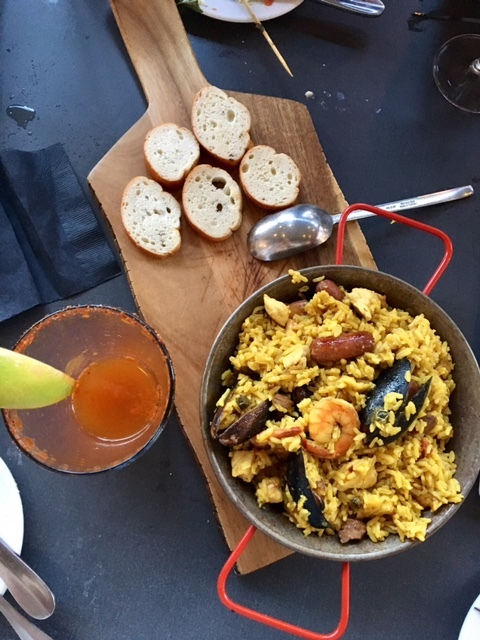 The paella was particularly delightful and served with bread–as were all the cocktails. 1252 Tapas Bar has a full bar with wide selection of craft cocktails like Blackberry Limoncello, signature martini’s like Elderflower Cosmo, and (my favorite) micheladas! Fun fact: 1252 is not the address but the year when tapas were first introduced in Spain. Spain was going through a prohibition era that said you couldn’t drink without food. So those crafty Spaniards started serving wine with little pieces of bread on top so lo-and-behold, you’re technically eating while drinking. After dinner we made the short walk over the Hughes Landing for drinks at Local Pour. While Restaurant Row at Hughes Landing was adorable with beautiful lakeside views and a great patio, the live band at the spot wasn’t as bumping as the Houston location typical is, so after a few drinks we ubered back to Waterway Square. I had kind of expected a chill night — we were in suburbia after all, but then we ended up at Baker Street Pub which had a great live band, loads of people and test tube shots — yes that happened. Then we walked across the street to Crush Wine Bar, which again totally exceeded expectations. It had a fantastic rooftop bar with a live DJ and great vibes — great way to round out the night. The best part of the night? Okay maybe not the best, but a total perk was the fact that we could walk back to the hotel! It was less than 300 yards away, which was perfect after hours of running around and dancing. Shout out to the hotel staff for a) being accommodating with our late night antics and b) helping us order room service at 2am. No pictures were taken, but the omelettes, fries, and ice water were life giving. If I had been feeling more up for it, I would have totally gone for a run along the Water Way — throwback to the first half marathon I ran in 2014. The Westin provided lovely little running map with 3 and 5 mile run recommendations around the area AND had an option to borrow New Balance running gear to make the work out happen. Instead I went back to the pool and snacked in the Executive Lounge (yeah, I’m Platinum SPG Member) until all my friends woke up. For brunch, we walked across the street to Hubbell and Hudson Bistro. The brunch menu was delightful and very reasonably priced. 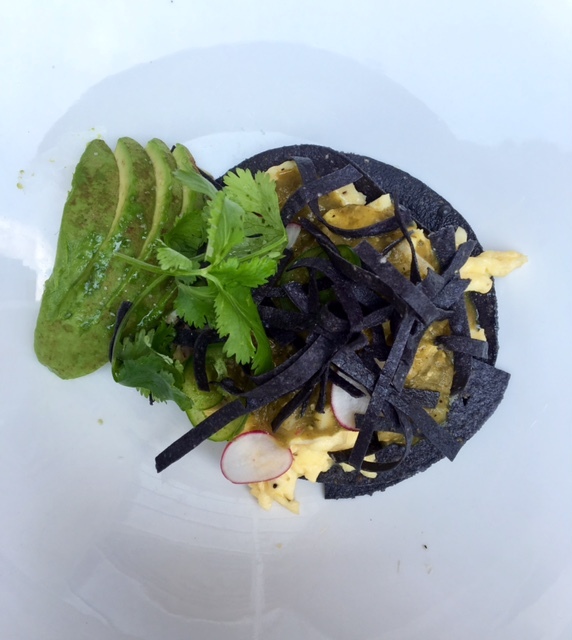 We started with the avocado fries, house brioche bread, and Brussels sprouts (order two!!). We ordered an array of items from chiaquilles verdes, pork belly hash, and Tennessee ham and cheese. 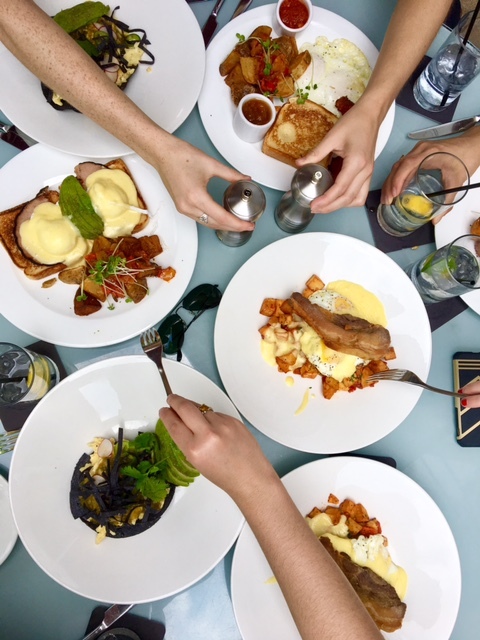 We recovered from our brunch feast with more time at the pool (sans cocktails, extra water). Luckily for our hangovers us, the pool was less crowed on Sunday afternoon so we could just chill for a while before late-checkout at 4pm. We rounded out the day with a bit more shopping at Market Street. We kept that Starbucks in business and visited there three times over the weekend. 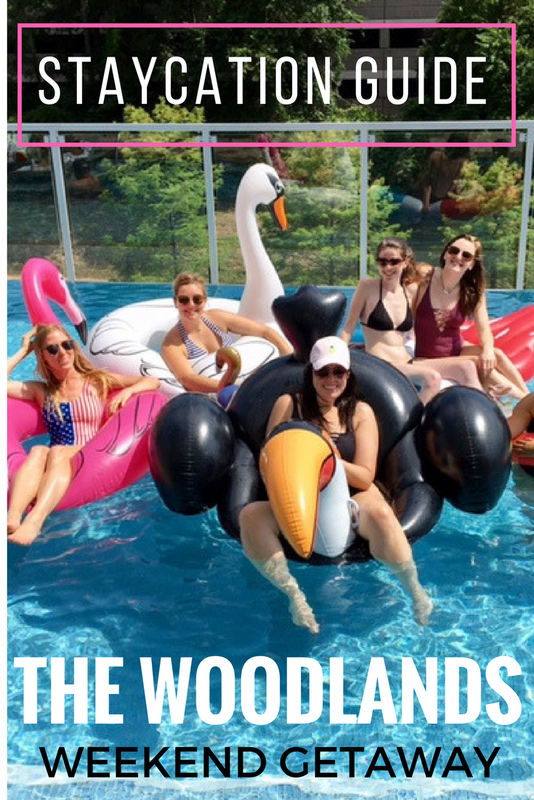 All in all, we as seven rowdy girls had a fan-freaking-tastic time in the Woodlands. The food was great. The drinks were great. Heck, everything down to the pillows in the beds were great! The only thing I’d change would be doing some research on where to find breakfast tacos at 2 am (the Westin didn’t have them on their 24-hour room service menu). But if that’s my only complaint, I’d say it was a 10 out of 10 weekend for all. Want more Houston Staycation ideas? Check out our guides to Downtown Houston and CITYCENTRE. 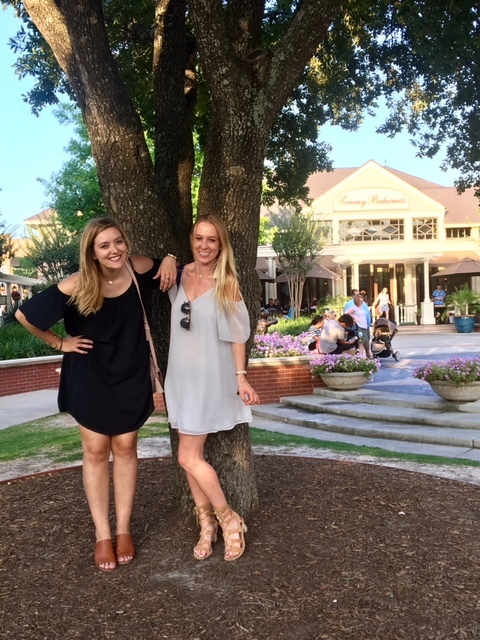 Tags: 1252 Tapas, bachelorette, Hemline, houston, Houston Staycation, Hubbell & Hudson, Hughes Landing, La Centerra, Local Pour, Market Street, pool floats, Shop the Manor, SPG, Staycation, tapas, The Woodlands, travel, Westin. Bookmark the permalink. Fantastic write up! Love your tips and info around HOU. You’re so welcome! Always excited to help people explore the area! I love this, thank you . Will be considering this when friends come in from Chicago Thanks again!!! !